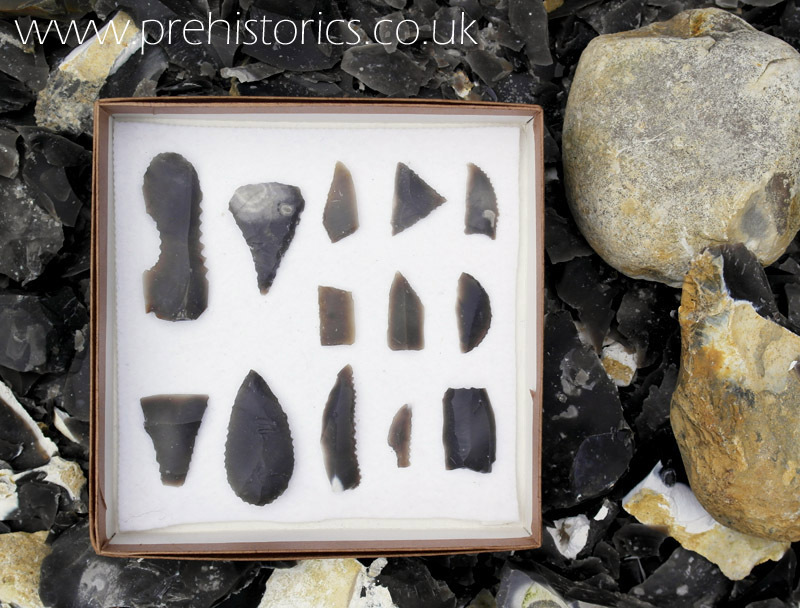 Been a bit quiet lately as I have been trying to master a new skill, the very unfashionable area of mesolithic knapping. I've been practicing making blade cores and the microburin technique. Finally finished today, here's the results. very nice work, looks like a nice bit of clean flint you have. Meso is tricky, long thin blades and the rest are almost a lost(ish) art. It is hard for folk to see the point of tiny sections of blades untill they are hafted I have found! Sweet work Mr. G.
The microlith making technique is damn difficult to pin. It looks so easy, I read a few articles and books before I tried. One website gave a an illustration of how to do it, I tried it a couple of years back and nearly cut my finger off so gave that technique a miss. The books and articles said the tools used were a mystery as antler didn't work not being strong enough when that fine. I didn't listen blundered in with antler and guess what? It didn't work because it was so thin, then had a think about it and used a bit of my bifacial knapping experience and came up with my patent technique using just stone and antler and it seems to work fine. 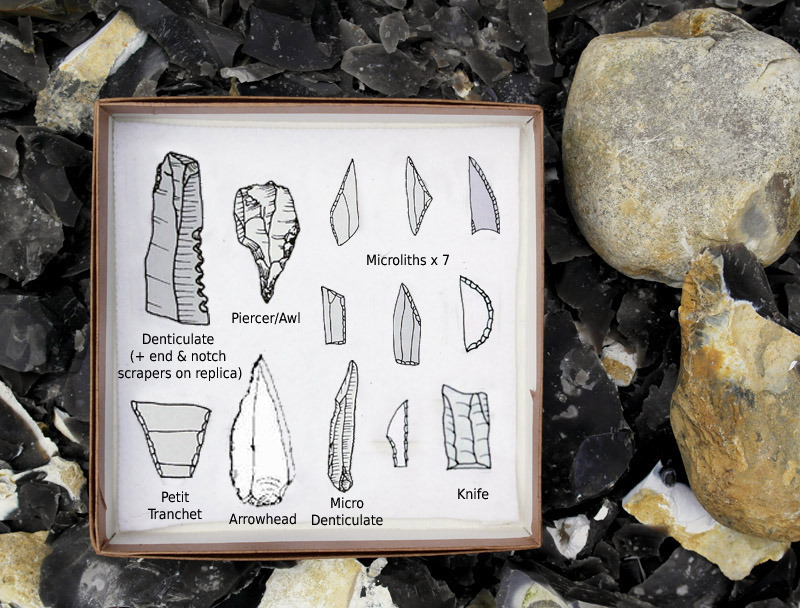 The ten, yes ten, Mikkel Knapping flint blade vids here helped a lot. I made myself sit through them a while back and they do help with blade cores. It is a totally different beast to regular knapping and so easy to go horribly wrong with a hinge or two. The best micro-blade cores I've knapped are when a large biface preform snaps in two, try running blades down the zig-zag edge, the first will be the famed "crested blade" and the rest will run thin and long if the platform is way less than 90 degrees, say 65 or so. It is good to reuse all those failed bifaces.